This article originally appeared in Lēad Magazine, Issue 17 – Competition: a driving force. Don’t rest on your laurels – staying ahead of the competition doesn’t happen by sitting back and letting things happen. Being active and responsive allows for growth, which is a vital part of any business. Just as the times change, so should your methods if you’re not getting the results you’d like to see. It was Albert Einstein who said that the definition of insanity is doing something over and over again and expecting a different result. Well, he does have a valid point. Keeping an open mind and adapting to change as it comes is a great start to building a business and culture that paves the way instead of trailing behind others. At the same time, embracing an innovative spirit will allow you to see new ways to improve your business. Wondering how this is all accomplished? Leading the industry comes down to hiring the right people and staying true to your corporate culture and guiding values. Having committed, creative, and hardworking teams who work year round to build relationships within the community, collaborate with experts, and stay on top of the latest trends and new products is the only way to ensure every year is better than the last. Better yet, hire the experts in your field or industry so you can establish yourselves as thought-leaders in the industry. When making your hiring decisions, think about the type of candidate you’re trying to hire and make sure they will follow your vision and values to their core. Your staff are your cheerleaders, so make sure the message they’re singing is loud and clear to all who are listening. Who is your target audience? What do they do? How do they consume media? These types of questions are important to have answers to if you’re planning on making sure your messaging makes its way onto their smartphone or into their inbox. Investing in marketing, even when the going gets tough, has its advantages. Creative campaigns that break through the clutter, building new promotional partnerships, investing in online databases, developing VIP programs for loyal customers, and working closely with creative, advertising and PR agencies ensures fresh and current advertising and sales campaigns year-over-year. Conducting research into your target audiences and then going above and beyond the norm by adopting tailored plans will ultimately help your company rise above the rest. Research is an important element that helps to build the customer experience. When surveys are sent to your client base or consumers, you are able to then interpret the data which can then be analyzed, shared, and used to develop best practices that can guide processes like: content development, sales initiatives, and advertising. When you are able to quantify this data, your next steps are to then share this with others as key findings should be used to educate stakeholders or customers. Statistics are powerful representations, so work on improving areas that are lacking in order to learn from your mistakes and to move forward towards a unique experience each time. It’s important to adapt and constantly change, because if you don’t, others will move on without you. Plus, there’s nothing worse than having a customer repeat a poor experience, as you’ll likely lose them forever if their experiences with you haven’t been favourable. Strive to do better with each initiative you embark on. Build experiences, with each experience aiming to be better than the last. Don’t just meet expectations, but exceed them by taking control of your company and your message, and never stop learning. Solidify your top spot in your industry through a combination of hiring the right people, using research and development, creating unique experiences, and continuously exceeding expectations. Combining these elements will push your business forward with marketing in mind. Shalini Mitchell is a seasoned marketing veteran with over 15 years of industry experience under her belt. As Regional Director, Eastern US at Marketplace Events (formerly Marketing Director of Canada), Shalini is responsible for overseeing B2B and B2C event marketing deliverables for shows across the US which includes: traditional and digital advertising, social media campaigns, public relations, strategic development, sponsorship, sales, contract development and negotiations and partnership management. In 2002, Shalini began working for Foote, Cone and Belding on their HGTV account which is where she discovered her passion for marketing home and garden events. 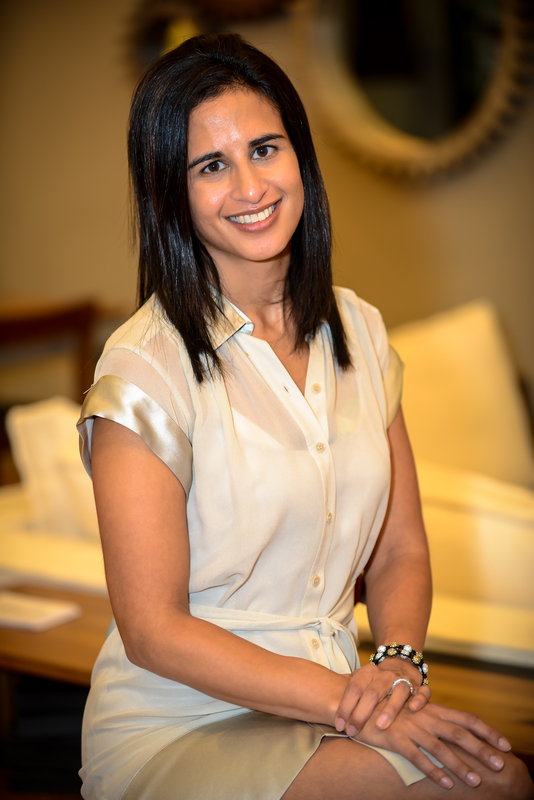 For the past 10 years, Shalini has honed her skills and delivered superior results for Marketplace Events, the leading home show producer of home and garden events in North America. Since its first issue in 2007, Adecco Canada’s Lēad Magazine has been keeping employers on the cutting-edge of developments, trends, and breakthroughs in workforce management. Featuring articles from some of Canada’s foremost economic, legal, diversity, political, and HR experts, Lēad is an invaluable guide through the dynamic and ever-changing world of employment affairs. To view past issues, please visit our Lēad archive.